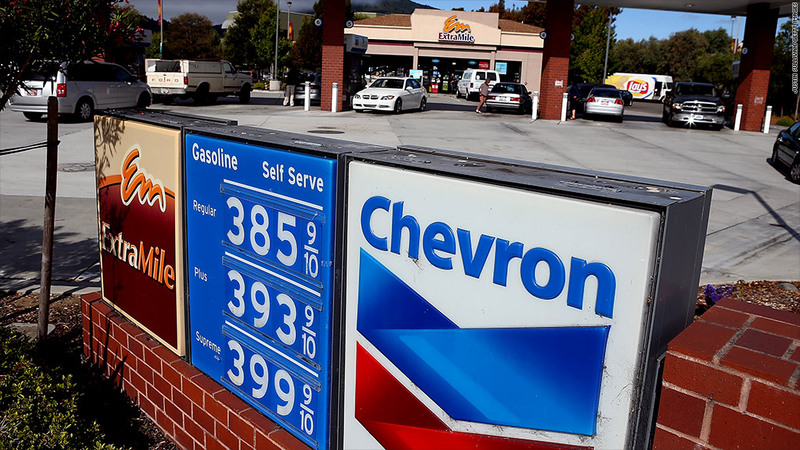 Gas prices spiked 4.8 cents a gallon nationwide as Hurricane Isaac cut output from Gulf Coast refineries. Click on photo for gas prices in your state. Gas prices shot up by nearly 5 cents a gallon nationwide Wednesday -- with one-day surges of as much as 14 cents in some states -- after Hurricane Isaac cut output from refineries along the Gulf Coast. But experts say the price spike is likely to be short lived, especially since the winds associated with the Category 1 storm are not believed to have caused lasting damage to the refineries in the region. Wholesale gas prices were already falling Tuesday ahead of the storm making land, and were sharply lower Wednesday. Hurricane Isaac made landfall late Tuesday and early Wednesday near Port Fourchon, La., about 60 miles southeast of New Orleans. The region's Gulf Coast is a key center of the nation's oil refining capacity. Motorist group AAA reported that the price of a gallon of regular gas shot up 4.8 cents to $3.804 in the latest reading released Wednesday. It is the highest level since early May and the biggest one-day spike in prices since February 2011, when fighting in Libya raised concerns about oil supplies. The Gulf states, which were hit by big gas prices spikes in Tuesday's reading, continued to see their prices rise Wednesday -- up 5.1 cents in Louisiana, 3.9 cents in Mississippi and 4.1 cents in Alabama. But every state in the country was paying a higher average price Wednesday as compared to Tuesday. And some of the states in the South and Midwest that get oil or gas from pipelines in the Gulf region suffered significantly larger spikes. The biggest increase was a 13.9 cent jump in Ohio, followed by a 13.2 cent rise in Indiana and a 12 cent rise in Michigan. Other states suffering large spikes included an 8.1 cent rise in Kentucky, and increases of more than 7 cents in Georgia, South Carolina, Missouri and Arkansas. According to the federal Energy Information Administration, the storm forced the closing of five refineries operated by Exxon Mobil (XOM), Valero (VLO), Royal Dutch Shell (RDSA) and Phillips 66 (PSX). Between them, the refineries can process about 937,000 barrels of oil a day. The storm also cut production at another three huge refineries operated by Exxon Mobil, Shell and Marathon Oil (MRO), which have a combined output of 1.23 million barrels. Between them, the eight affected refineries account for about one-eighth of the nation's refining capacity. September and October wholesale gasoline futures both fell about 4 cents in trading Wednesday, the second straight day of declines after a spike higher Monday. Tom Kloza, chief oil analyst at the Oil Price Information Service, which tracks pump prices for AAA, said Tuesday that retail gas prices will likely continue to rise over the next few days, But they then should retreat fairly quickly, both as refining capacity and pipelines shut by the storm come back on line. The end of the summer driving season, which means refiners will no longer required to produce the more expensive summer blends of gasoline, will also provide relief at the pump. Isaac also forced the evacuation of more than 550 oil platforms and rigs off of the Gulf Coast, cutting off 93% of the Gulf of Mexico's oil production and two-thirds of its natural gas output, according to the federal Bureau of Safety and Environmental Enforcement. But oil prices were down 72 cents in Wednesday trading to $95.61 a barrel. The drop was attributed to the fact that winds from the storm were not strong enough to raise it to Category 2 or higher, and because White House spokesman Jay Carney said a release of oil from the nation's Strategic Petroleum Reserve remains an option. Wednesday is the seventh anniversary of Hurricane Katrina hitting New Orleans. That Category 4 hurricane, which killed about 1,800 people, caused the average price of regular gas to quickly spike to what was then a record high. 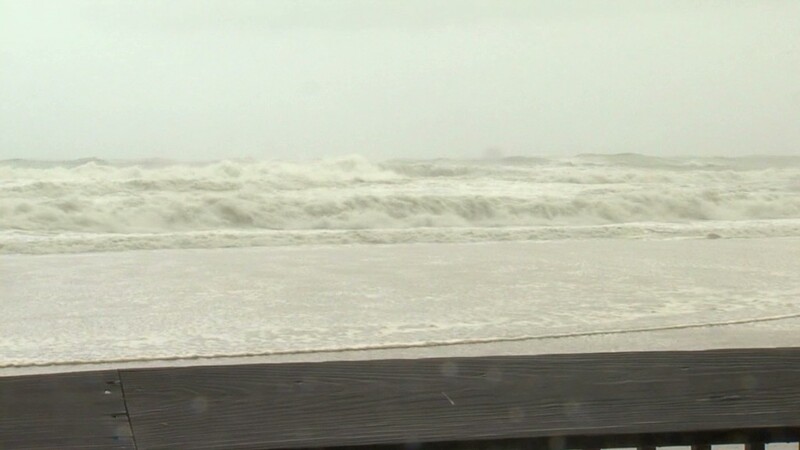 While it took about two months for gas prices to retreat after that storm, the higher winds and human toll caused a much longer disruption to the region's refining industry. -- CNNMoney's Ben Rooney contributed to this story.